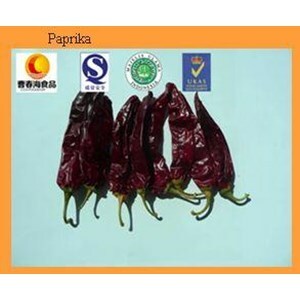 Paprika is one of the varieties of chili that has a different form from other chili peppers. Its large shape resembles a persimmon that has a spicy and slightly sweet taste. Paprika consists of several colors, namely red, yellow, purple and green peppers. Usually peppers are used as food coloring, seasonings and salad mixes. Paprika has a high nutritional content consisting of protein, fat, carbohydrates, vitamins A, B, C and minerals such as Ca, Fe, P and K which are very beneficial for our body.